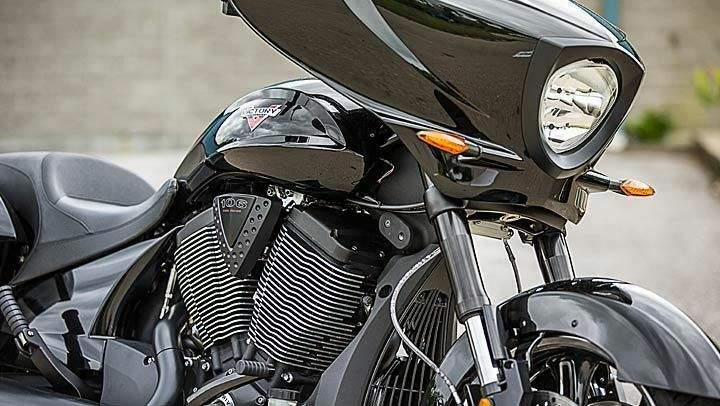 Victory Motorcycles has revamped its bagger lineup for 2014, adding two new blacked-out editions – the Cross Country 8-Ball and the Cross Roads 8-Ball. 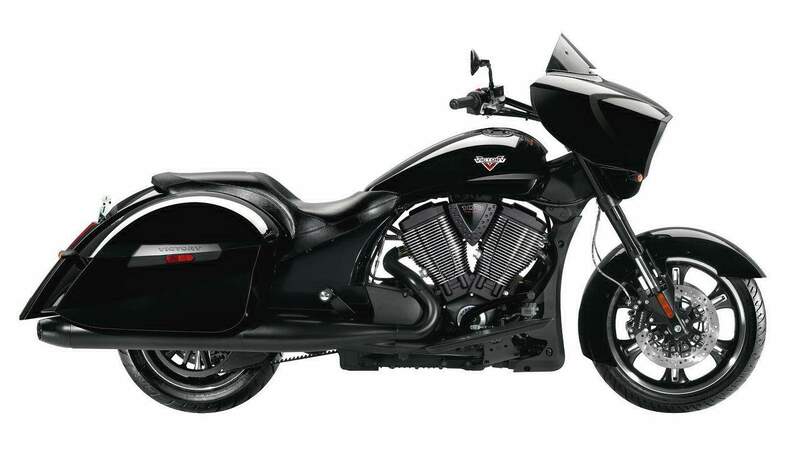 Victory, which has produced over 100,000 motorcycles from its Spirit Lake, Iowa, facilities since the first V92 rolled off its assembly line on July 4, 1998, designed the two stripped down models to be offered with a starting price under $16,000. Both machines arrive with Victory’s powerful Freedom 106/6 V-Twin that produces 106. ft/lbs of torque, and is rigid mounted for better handling. 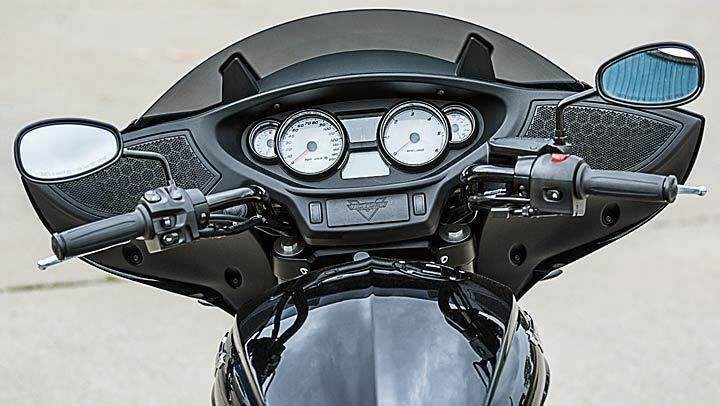 The bagger 8-Ball motorcycles feature 43mm inverted cartridge telescopic forks up front with 5.1-inches of travel, and a single, mono-tube gas cast aluminum shock out back with 4.7-inches of travel and air adjustability. Stopping the Cross Country and Cross Roads 8-Balls are dual 300mm floating discs up front squeezed by four-piston calipers, and a single 300mm floating disc out back squeezed by a two-piston caliper. To keep the price point low, neither bike is offered with ABS.